Truck accidents are a known risk across our nation’s roads. Every year, thousands of people are killed and more are injured in vehicle crashes involving large trucks. In 2014, the National Highway Traffic Safety Administration (NHTSA) reported 3,660 fatalities related to truck crashes. The causes of these crashes are varied, and new technology and safety standards continue to emerge to help increase the safety of all those on the road. Electronic logbooks monitor driver hours, increased roadside inspections screen vehicle mechanics, and more. One area that has received little attention, however, is the issue of underride crashes. These dangerous accidents pose a unique and serious risk to smaller car occupants. Here, we share what you need to know to help address and avoid these serious crashes. What Is an Underride Crash? An underride crash occurs when a smaller vehicle is involved in a crash with a larger commercial truck and is pushed underneath the back or side of the truck. This type of crash is startlingly common. 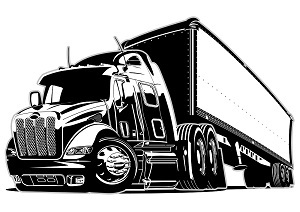 A 2013 study from the University of Michigan’s Transportation Research Institute (UMTRI) states that underrides occurred in 75 percent of all rear-end crashes involving large trucks for the time period examined, and the NHTSA reported about half of all fatal large truck accidents involve a car underride. Underride crashes are particularly dangerous to the occupants of the smaller vehicles. Much of the technology that has improved the safety of automobiles over the past years has neglected to address the windshield and roof areas of the car. It is those specific areas that are especially vulnerable in an underride crash. Often, the roof of the car is crushed, and the life-saving safety features that protect passengers in other types of crashes are bypassed. As a result, occupants of the smaller vehicle are exposed to severe head and neck injuries. Trucks slowly entering or exiting the roadway. Trucks attempting to cross a roadway. Lack of reflective tape on truck trailer. Lack of lighting the length of the truck. Obviously, trucks are much larger than most other vehicles. They are slower to accelerate and decelerate, which can make it difficult for other drivers to judge their speed and make adjustments. Additionally, when a truck is not appropriately marked with tape and lights, it can be difficult to tell just how long the vehicle may be. These factors, in addition to the normal rear end crash factors, put drivers at risk for a dangerous underride crash. Over the years, there have been steps taken to attempt to prevent underride crashes. One significant development was the installation of underride guards on large trucks. An underride guard is a set of steel bars that hang down from the back or sides of the truck to prevent a car from getting pushed underneath. The guards are not required on all types of large trucks. Underride guards are also required on trucks in Canada, but Canadian rules require guards to withstand about twice as much force as the American guards. Many American guards simply did not hold up in a crash, and underrides continued despite them in crash tests. In response to the IIHS and the Truck Safety Coalition, which petitioned the government to strengthen the guards in 2013, the NHTSA has offered new standards. In December of 2015, the agency offered a notice of proposed rulemaking that would require underride guards on single unit trucks (such as garbage trucks, dump trucks, and the like) in addition to the larger semi-trailers. Though the NHTSA hasn’t officially announced plans, it is expected they will also address the strength of the guards and increase the requirements similar to Canadian mandates. If you or someone you love has suffered injuries or been killed in an underride crash, you may be eligible to file a claim. The experienced personal injury attorneys at Rechtman & Spevak can help you learn more about your rights and decide how best to move forward. Call our Atlanta office today at 888-522-7798 to schedule a free, no-obligation consultation.